Humble, humble, humble – but incredibly thrilled! 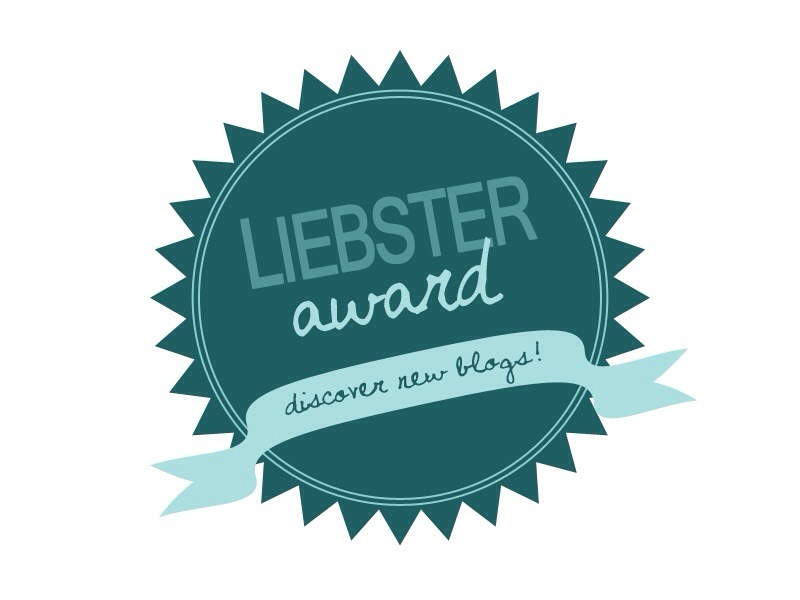 We are very happy and grateful to have been nominated for the Liebster Award by the wonderful Charisma at Charismatic Baking. She says that baking is her future and just by looking at her site you know that this is gonna happen! Just go and take a peek, as long as you don’t blame us for the potential weight gain! -Nominees must link back the person who nominated. -Answer the 10 questions that are given by the nominator. -Nominate 10 other bloggers for this award who have fewer than 200 followers. -Create 10 questions for the new nominees to answer. 1) What is your favourite book, and why? BBC1: All Quiet On The Western Front – One of, if not the, first book I ever read, and one of the greatest anti-war books ever. BBC2: Tales of the City – A set of books that I could relate to and couldn’t stop turning the pages! 2) What is your escape to get away from intense/stressful times? BBC1: Sleep – my body has an automatic mechanism to pain or stress, it switches off! 3) Are you the superstitious type? BBC1: Not normally, but, when we took my mother to Egypt a few years back, she bought us each a silver cartouche of our names, whenever I forget to wear it something bad always happens. So now, I wear it all the time! 4) What is the most thrill-seeking adventure you have always wanted to do? BBC1: Be with BBC2 – It’s been a roller-coaster since the day I first saw him! 5) When did it finally hit you that you are officially a “grown-up”, and why then? BBC1: When I turned 50, aww c’mon 50! BBC2: Being one of the eldest in a large family, have always had responsibilities so have always been ‘grown-up’. 6) If you could meet anyone, dead or alive, who would you want to meet, and why? 7) What is your favourite pastime? 8) Are you a people person? 9) What has been your most awkward situation? BBC2: Many moons ago I purchased four tickets to see the last night of the last concert of the Eurythmics “Peace Tour” for BBC1. Who then phoned two friends, who live in Portugal, and invited them. When he hadn’t heard from them after a week, he phoned two other friends and asked them, they immediately said yes! But of course two days later the original invitees contacted us to say they had booked their flights and accommodation and couldn’t wait to see us and the concert! Guess who had to phone set of friends two and tell them? 10) Your favourite board game is..? BBC1: It changes, but at the moment it is Sequence, a playing card based game. What the Mom? – What The Mom? 1) Who or what inspired you to cook? 2) Sweet or savoury and which is your favourite dish in that category? 3) What is your favourite film or book, and why? 4) Who is your hero/heroine, and why? 5) What is your favourite dish you have cooked? 6) What is your favourite dish you haven’t cooked yet? 7) If you could invite four people (alive or dead) to a dinner party, who would they be? 8) What is your favourite ingredient, and why? 9) If you could travel anywhere in the world, where would you go and why? 10) What is your favourite kind of music? Once again many thanks to Charisma for the nomination. We hope that the folk we’ve nominated are as pleased to receive the nomination as we were! Tags: awards, blog awards, dog treats, food blog, recipes, recognition. Bookmark the permalink.